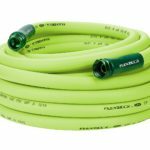 You are here: Home / know how / How to store garden hose? Are you a new gardener? 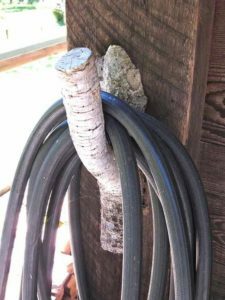 Are you tired to store the garden hose and looking for an easy way to store the hose? Dude, You are in the right place! 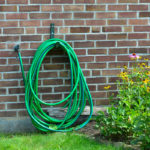 Now, the first question is, what is the best tool to store your garden hose? 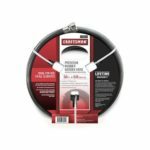 …to store with the best hose reel. 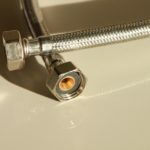 You can also use Hose Pot, Hose Holder or Hanger, Hose Reels, Long-Term Storage, Metal Pail, Wooden Textile Spools, Wash Tub, Hose Hook, Hose Butler, Pallet DIY, Storage Bench, Coiled Hose Storage, Rim, Mailbox Garden Storage, Copper Drum, Under Deck Storage, but that would be an old-school practice. And always Remember the saying “Work smarter, not harder”. Now, the second question, which tool should you use as there are so many in the market? 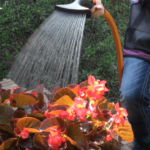 In my opinion, as a gardener, the best practice is to use a hose reel. Because it will save your overall work and time. There are many types of hose reel which help you to store the hose easily in short time. You can also use Pot, Hanger, Holder, Rim or Drum to store a garden hose. 3.1 1. Which one most people use? 3.2 2. 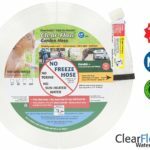 How to store your hose at a cheap cost? 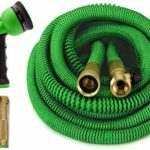 I will share with you the best 5 golden tips that you can use while storing your garden hose. 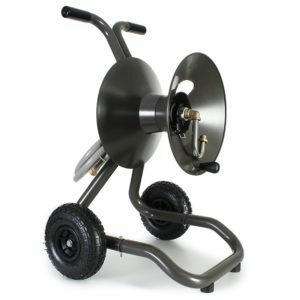 A hose reel is a cylindrical spindle of a spring, driven hand crank, or motor driven. Which help you to coil and storing the hose easily. There are many kinds of hose reel in the market. It has different type also like automatic coiling or not, stand table or wall mount, with a wheel or not, portable or nonportable e.t.c. 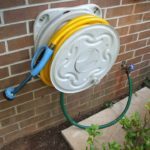 You can store your garden hose with garden hose hanger or holder. There are two types of garden hose hanger one is wall mount and another is stand. To storage your hose in a garden hose hanger first you coil your hose then put it your garden hose hanger or holder. Hose pot means the pot or things that you use to hold or store your garden hose. There are many useless things you can use as a hose pot like a vase, basket, tire, bin e.t.c. In this case, you just coil the hose and put into the hose pot. you can also use a hose bag to store your garden hose. 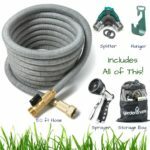 It is the easiest and safe way to store your garden hose. In this case, you put the hose in your bag and tie the open side of the bag and put it in a safe place. 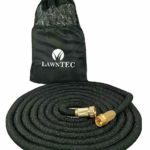 There are some hoses that will give you a free bag to store your hose. 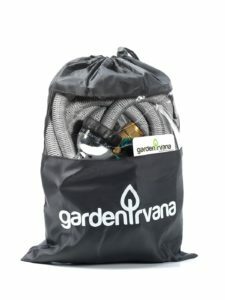 Gardenirvana expandable water hose is one of them. The hose is a little bit costly but it has 2-way splitter and storage bag for free.So.it’s really worth it. 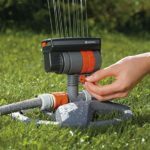 Besides these above tools, you can also use some handmade tools to store garden hose like outdoor planter DIY, storage bench, wooden textile spools. 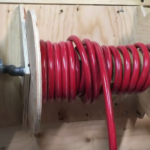 In this case, you can store your garden hose without any cost. 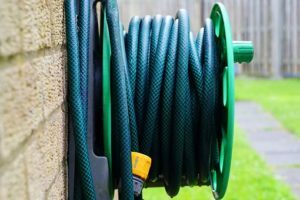 If you properly store your garden hose in a safe way it gives you long lasting so you can use one hose for a long time which reduces your cost. Among those tools, I think the hose reel is better than any other tool for storing hose. 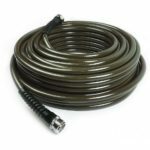 And our analysis may help you to find the best hose reel. From the title, you might be wondering, What! we know how to use the garden hose storage tool. Yeah, of course, you know. 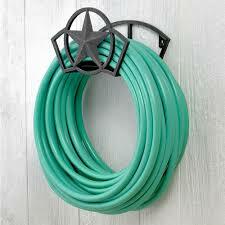 But there are some interesting ideas to store your hose in a different way that you can apply. Just watch the video below to get the full idea. Now, let’s do some question and answer session. There are some common questions that I always face. You might have the questions as well! 1. Which one most people use? Answer: To find the answer to the question we make a survey on some American gardener and analysis different website. 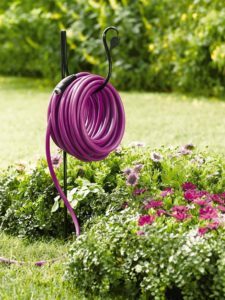 And notice that most of the American gardener use the best hose reel to store their garden hose. 2. 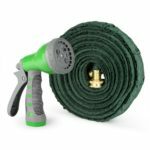 How to store your hose at a cheap cost? answer: To store your garden hose at a cheap cost you can use your old or useless bin, basket, drum, cars tire, rim, and many other hands made tool. If this article was helpful to you, let us know. Shoot a comment below with any questions or comments you have, don’t hesitate to ask.